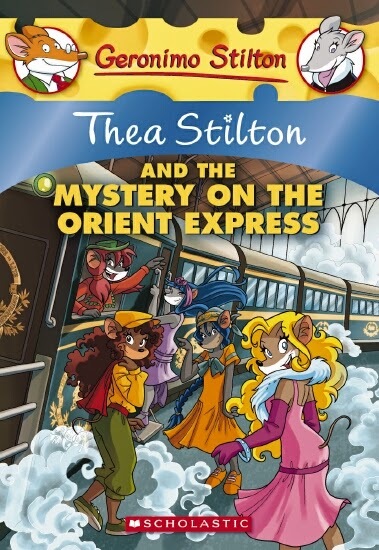 Intrepid reporter Geronimo Stilton and his friends have been entertaining English-speaking readers for 10 years. 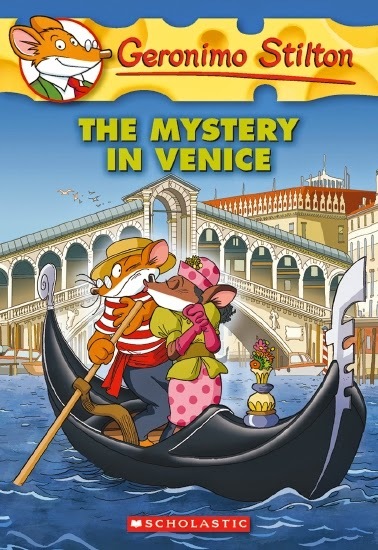 The first Geronimo Stilton books were published in Italy in 2000, with the first English versions of the stories published by Scholastic in February 2004. 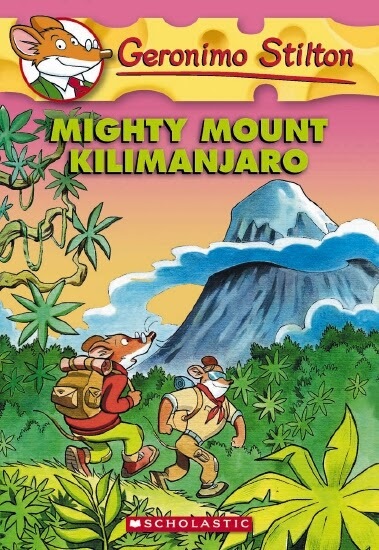 Over the years, Geronimo and his friends at the Rodent Gazette have travelled around the world in search of stories, having amazing adventures and solving mysteries wherever they go. 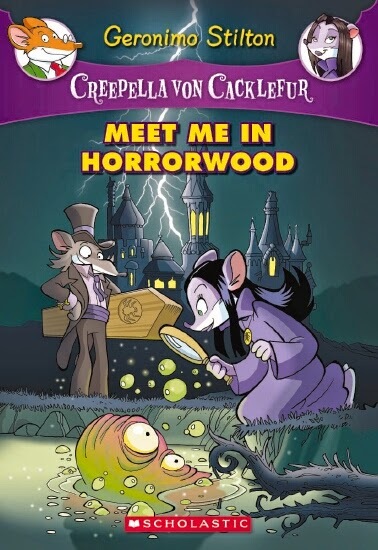 There are also several mini-series (Thea Stilton, Cavemice, Spacemice, Creepella von Cacklefur and Kingdom of Fantasy) that take readers to specific times and places. 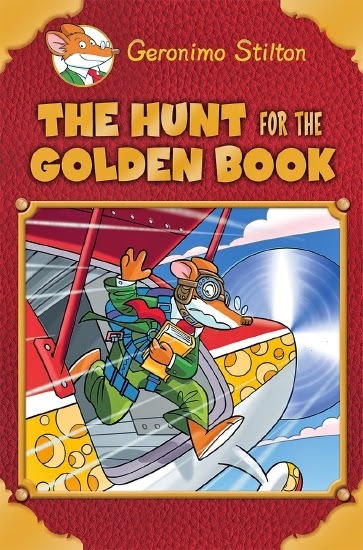 To celebrate the 10th anniversary, Scholastic has published a special hardcover Geronimo Stilton title: The Hunt for the Golden Book. 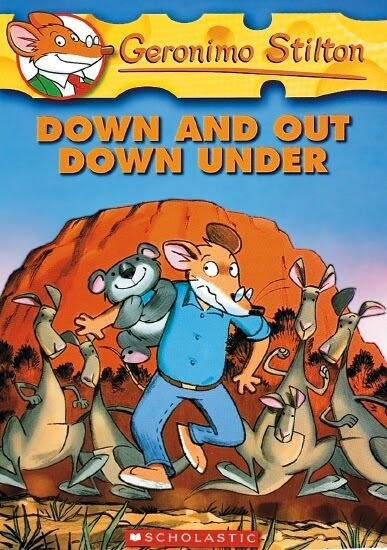 Grandfather William wants to throw Geronimo a special party to celebrate 10 years since his first book was published and he asks Geronimo to write a special story for the occasion. 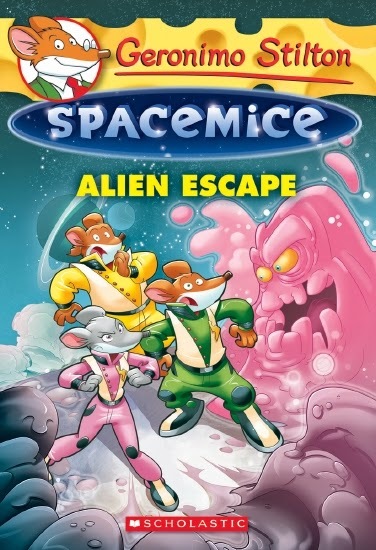 When Geronimo’s laptop is stolen just before he finishes the new book, he and his friends must hunt it down. Will they find it in time for the party? 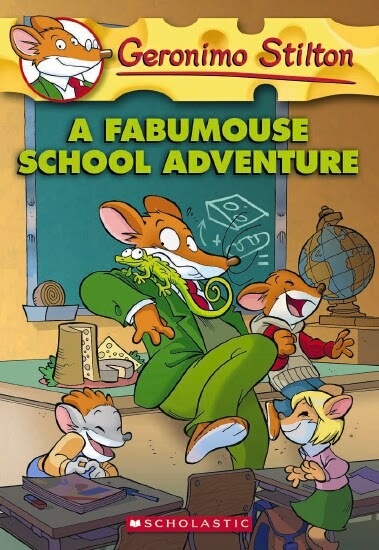 Filled with humour, adventure, mystery, excitement, eye-catching fonts and bright illustrations, Geronimo Stilton books are fantastic first novels for young readers and are ideal for reluctant readers who are intimidated by large blocks of text as they transition from picture books to novels. 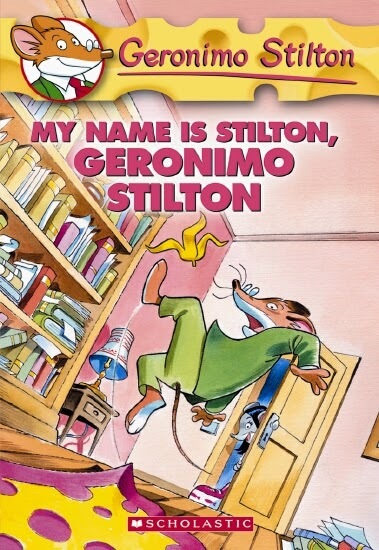 There are more than 50 titles in the general Geronimo Stilton series in addition to the several mini-series titles. 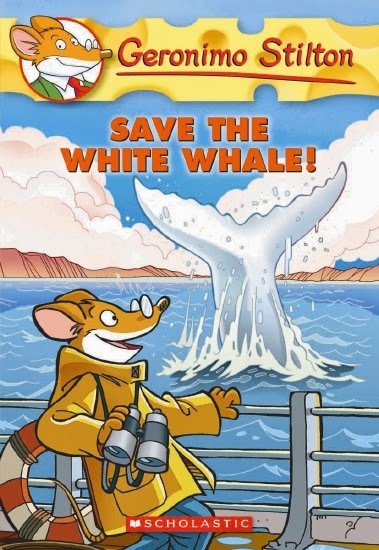 Children can also explore Geronimo Stilton’s World online, where they will find games, activities, downloads and information about the books and characters. 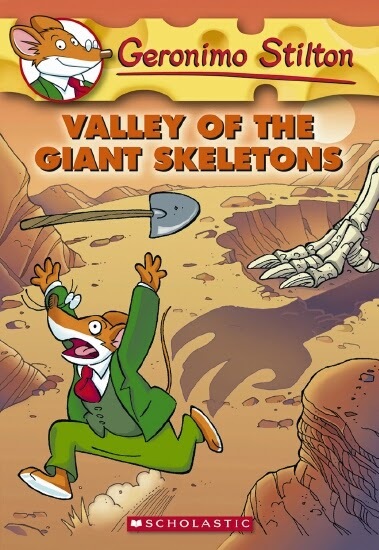 See our review of Geronimo Stilton Cavemice #1: The Stone of Fire here. 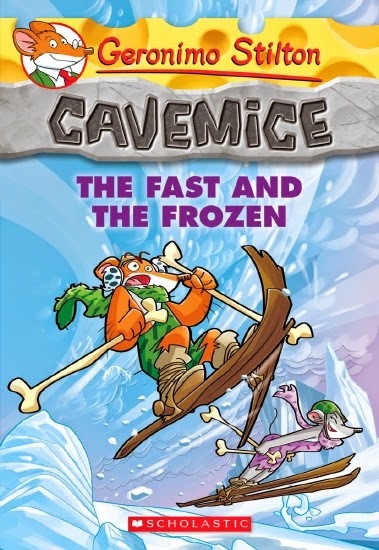 My favourite part of the book was the bonus mystery because it talks about the water horse!!! 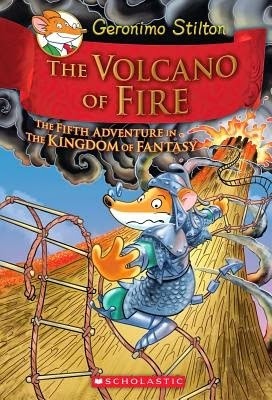 My favourite part was the mini mystery story because it talks about the water horse!